Our Lighted Palm Trees can withstand most weather conditions. Sitting in the midst of the heaviest snow storm of the season. 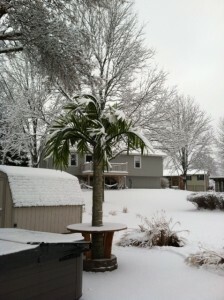 Our Lighted Palm Trees brings my mind back to the warm summer days!